If you’re eager to relax or entertain in style, you’ve found the perfect home in Port Liberte. With an impressive 2,350 square feet, 4 bedrooms, and 3 bathrooms, this condo at 109-11 East Shearwater Court is the dream for any home buyer craving lots of elbow room. 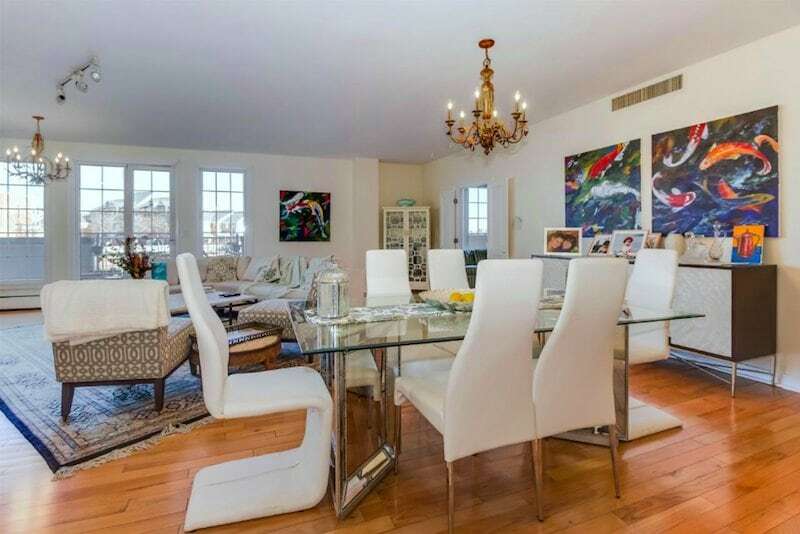 Here’s a sneak peek inside this spacious condo — you won’t believe how large it actually is! In the heart of this condo is a massive social area (pictured above), complete with a wood-burning fireplace and wood-plank floors. Ceiling lights create the perfect ambiance for any party, but you can also enjoy plenty of natural light through the windows overlooking the private patio. Speaking of the patio, this space is incredible. 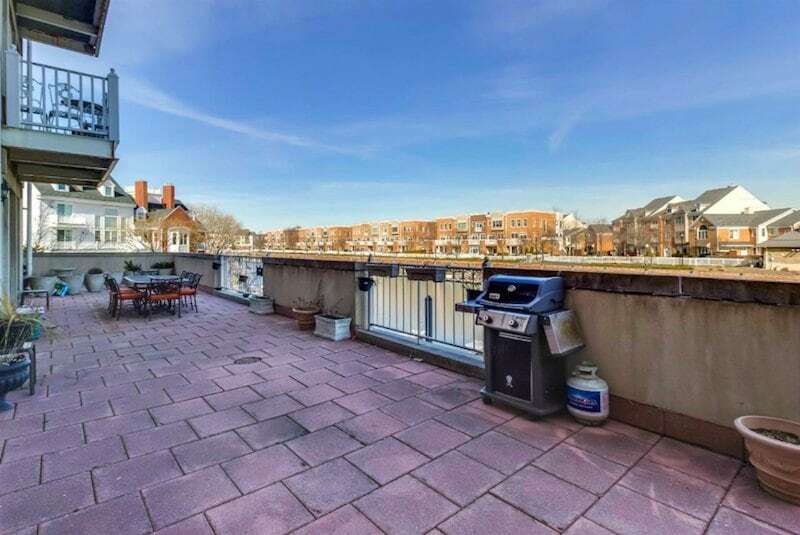 Not only does it offer enough room to throw a backyard barbecue, but it also features dazzling views of the canal and the Statue of Liberty. But how you use this 900-square foot outdoor space is up to you! 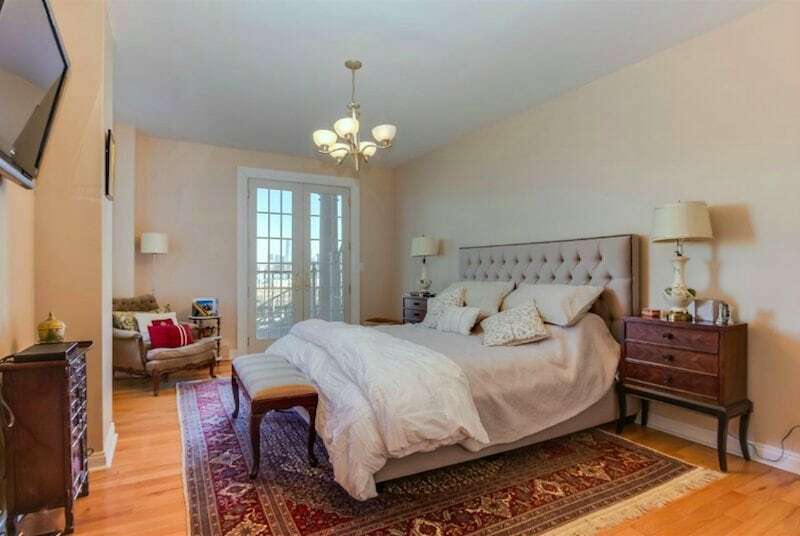 Like the rest of this Port Liberte condo, the master suite offers plenty of space — and a great view, too. Relax inside in the comforts of home or step onto your patio to enjoy the fresh air and bright sunshine. In addition to the ensuite bath in the master suite, there are two additional full bathrooms in this spacious home. View the full photo gallery here to see what the rest of the unit looks like! Want a Private Tour of 109-11 East Shearwater Court? This spacious Port Liberte condo is available for sale, but hurry — you don’t want to miss this dream home! Give me a call at 201.200.5512 and let’s set a time to view it in person.